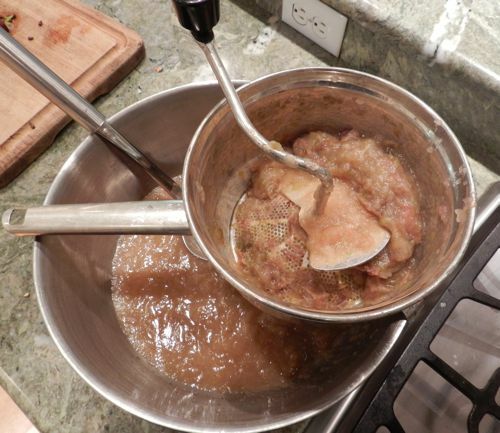 Making applesauce is ridiculously easy. It’s so easy that at first I thought I wouldn’t bother showing you how I do it. But then I thought that it’s one of those things that if you haven’t ever done it, you might not know how. You’ll need apples. If, like me, you live near orchards and it’s apple picking season, you’ll have your choice of varieties. Cortlands, romes, macouns, jonagolds and mactintosh. Some are tart, some are sweet, some are for baking, and some are for eating out of hand, but all are good for sauce. The only ones I don’t use are the delicious, which I find are not at all like their name, but are too sweet and often mealy. 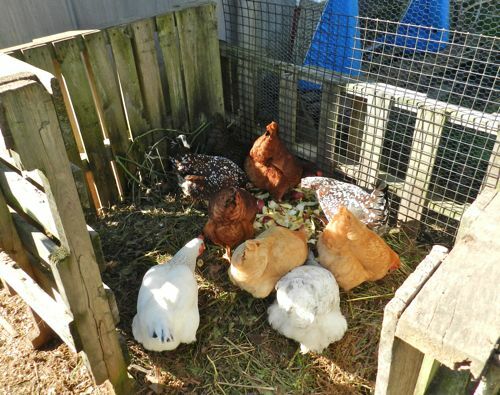 Give them a good rinse under running water. Quarter and remove the cores. I use a paring knife for this, but if you have a favorite coring tool, use it. 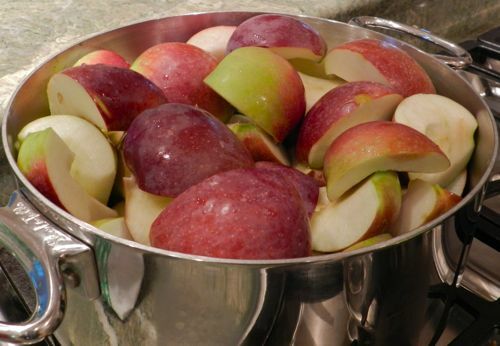 Put the apples in a large, heavy pot. Add one cinnamon stick. Pour in just enough water to cover the bottom by a scant quarter-inch. Turn the heat on low and cover. You might wonder why we food writers love to say, “put in a heavy pot.” The answer is that a pot with a thin bottom conducts heat unevenly, often warps, and slow, long-simmered recipes will scorch. Cook, stirring occasionally, until all is soft, which takes about one hour when on very low heat. Apples vary in juiciness. If the sauce sticks to the pot before becoming soft, add a touch more water. The next step requires a food mill, which is a handy device which squeezes the fruit through fine holes and separates it from the skin. I cook the apples with the skin on for a couple of reasons. First of all, I don’t have to peel them, which saves a lot of time. Secondly, the red peel contributes a cheery color to the sauce. This year’s apples were so ripe, moist and thin-skinned that much of it went right through the fine mesh, adding even more color and flavor. If you don’t have a food mill, you can start with peeled apples and can skip this step. That’s it! Adding sugar is unnecessary (in fact, when I see commercial applesauce with added sweeteners it makes me wonder about the quality of the apples). Applesauce stays fresh in the refrigerator for a week, or you can freeze it to have on hand all year until next apple season. 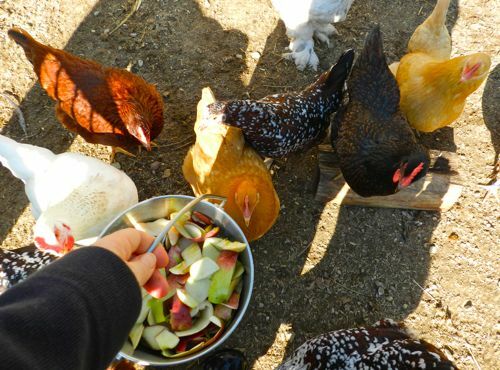 If you have chickens, there’s one more step to making applesauce. You’ll have a bucket full of cores. Take it out to the girls. 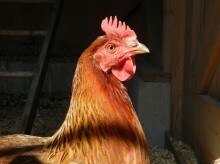 Put it in their compost area and listen to their appreciative clucks. 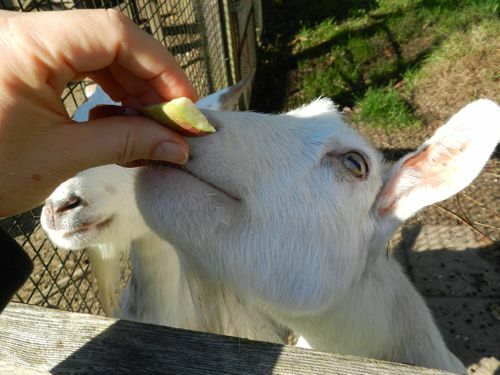 If you have goats, they might like apples, too. Or, not. Caper turns up his nose at the peels, but Pip loves them.